As I hinted at in Friday's Step Into My Week this past week was big // little week for my sorority. 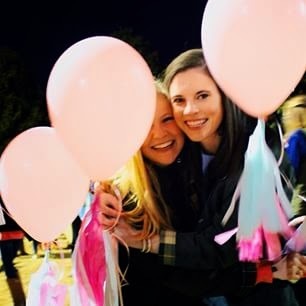 Big // Little week is done differently at every school and even differs depending on sororities so this is just how Furman Kappa Delta does it. If you're new to my blog then here is the bit of background info you're probably looking for: I am a sophomore at Furman University in Greenville, SC. I am a Kappa Delta and and currently serve as Vice President of Public Relations. Since I am a sophomore that means I got a little and was giving the gifts. For those of you who may be completely confused by what a big and a little is then here is a quick synopsis. All sororities (that I know of at least) pair an older member with a new member. This is considered your big sister or little sister. We tend to shorten that into your big or little. 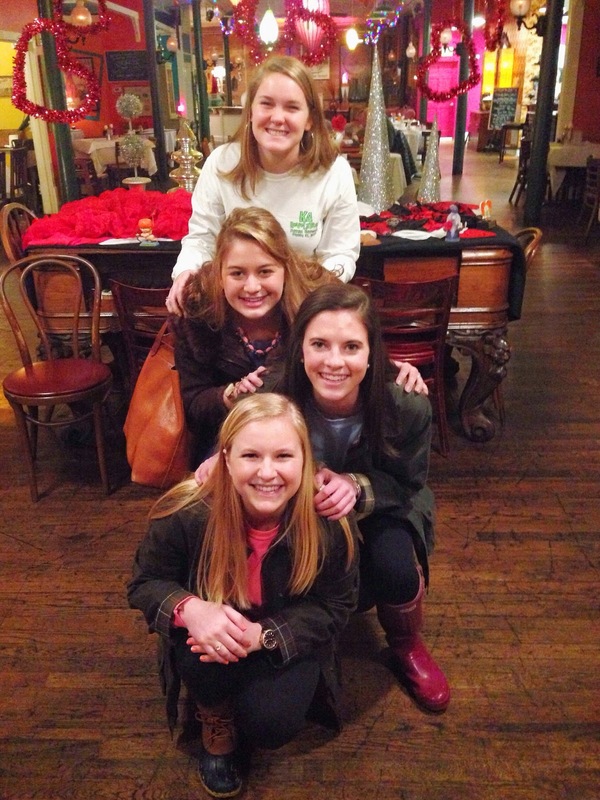 Sophomores get a freshman little who is added to their sorority family. Here are the lineage terms in regards to me being a big and from my age perspective (sounds ridiculous I know but it's so fun) Grandbig (senior, Jenny), Big (junior, Caroline), Me (sophomore), Little (freshman, Martha Ann). So I am both a big and a little. Hopefully that made I tiny bit of sense but if not then just enjoy the pictures and gift ideas! So, the way you are matched with your little is by mutual selection. They (the freshman new members) rank the top four people they would want to be their big and we (the sophomores) rank our top four options of who we would like as our little. It sounds bad that we are ranking people but it is to ensure that everyone is happily matched up. My little's name is Martha Ann and I got to know her pretty well first semester and we've grown super close this semester. We matched one and one so I knew that I would need to try to trick her in order to ensure that reveal would be a surprise so I was naughty and a bit mean. I texted her on Sunday after receiving the email saying that she would be my little and I dramatically told her that I wasn't her big. I told her I had kind of bad news and that I had thought that we for sure would have been matched but we didn't and I wanted her to hear it from me first. I emphasized that this wouldn't have to change our relationship at all and that we would still remain just as close. I encouraged her by saying that her big was great and that I would be helping her out during the week to ensure that she would get awesome gifts. I then told her that I was upset and thought it was only fair to let her know this in advance so that she wouldn't be disappointed. The combination of that semi convincing text and her semi gullible and trusting personality had her totally fooled. Of course then I felt terrible for lying to her but since my gifts screamed me I knew that I needed to put her in that state of limbo so that reveal would at least be semi surprising. 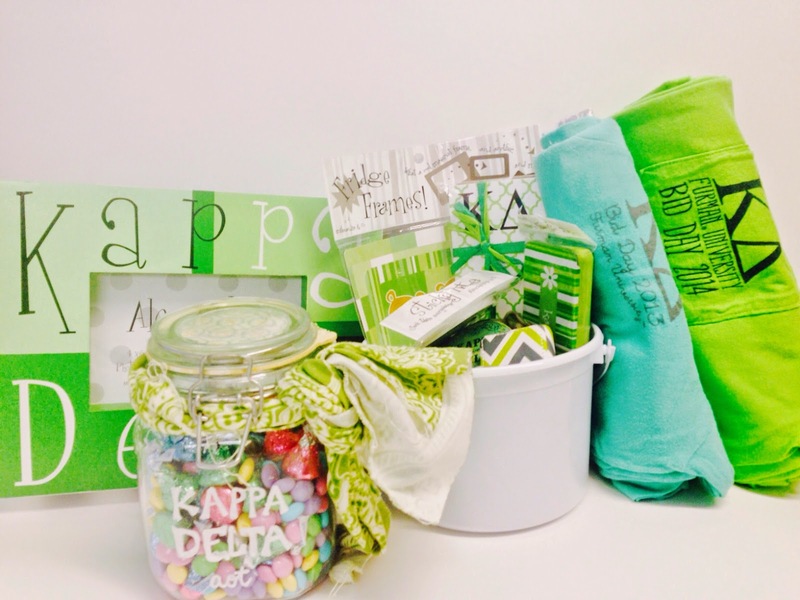 The way we do big little gifts is different than some sororities. 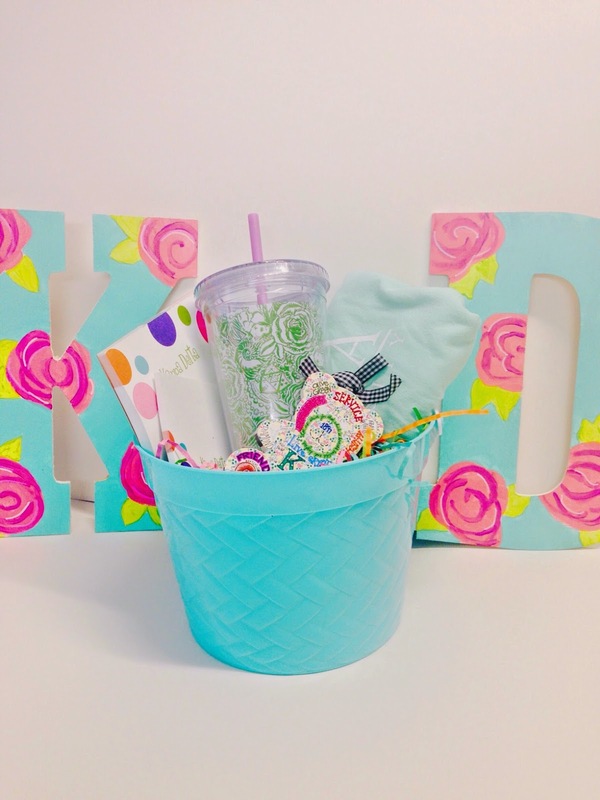 Our little's get most of their gifts right after initiation at a dinner and event that we call "basket ceremony." I have been preparing for big little week all first semester and saved a lot of things to passed down to my little. During the week we give them little assortments of prizes from Sunday until Thursday along with clues revealing our identity (except most of those are lies too). This week is not supposed to be all about lying so do not take that the wrong way! From the gift pictures you will probably be able to tell that I love themes. I tried to make the gifts seem purposeful and cohesive. Day Three: We have an all pink function called Flock so that is why I did an all pink day. Day Four: One of our fundraising events is called Shamrock and our color is green so that's where this theme came from. Day Five: I forgot to take a picture of this one! Thursday was the day of the reveal. We had a snow day that day and reveal wasn't until 7:00 so the day seemed like forever. All the new members met in front of the bellower wearing the big / little reveal shirts we gave them and more importantly, a fake license plate. The license plate idea didn't apply as well this year since we were on the soccer field instead of in the parking lot as we traditionally do. The idea behind our big little usually is that every member of a family was inside of a car with that fake license plate attached and they would pop out once you got there but none of us have patience for that and we had to be on the field since it had lights! 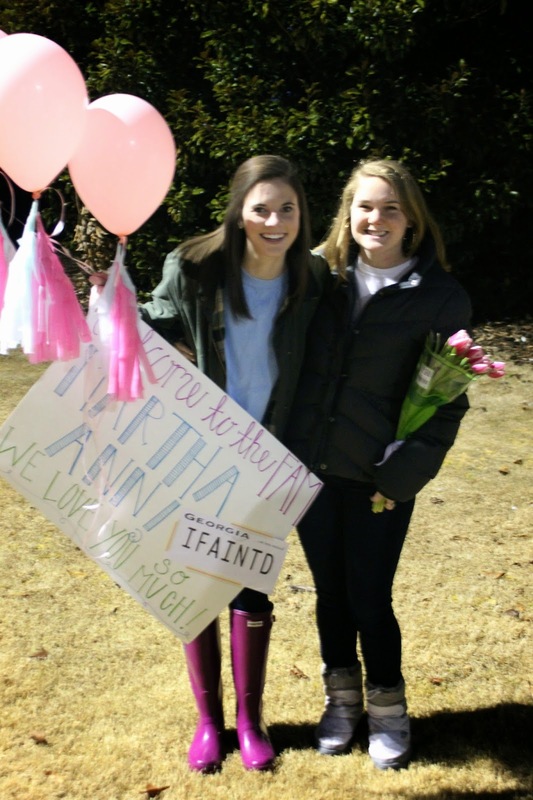 Instead, the families had signs, flowers, and goodies waiting for you once you discovered who your big was! The new members ran from the bell tower to the field and are instructed to find their matching license plate. Typically they are to wear something that matches their big but I couldn't find anything fun for Martha Ann to wear so I had her bring a balloon that I delivered to her and we also had balloons with us. She finally spotted me and I think she was pretty surprised and relieved! Afterwards we went to dinner as a family to a place called Brick Street which is so yummy and has the best dessert. Martha Ann and I split chocolate peanut butter cake and sweet potato cake after our meal. Then once we were back on campus we hung out on our sorority hall (where I live) with other big / little pairs. I drove she and a few of her friends back to their dorm and hung out with them their for a little while before we decided to go to cookout. 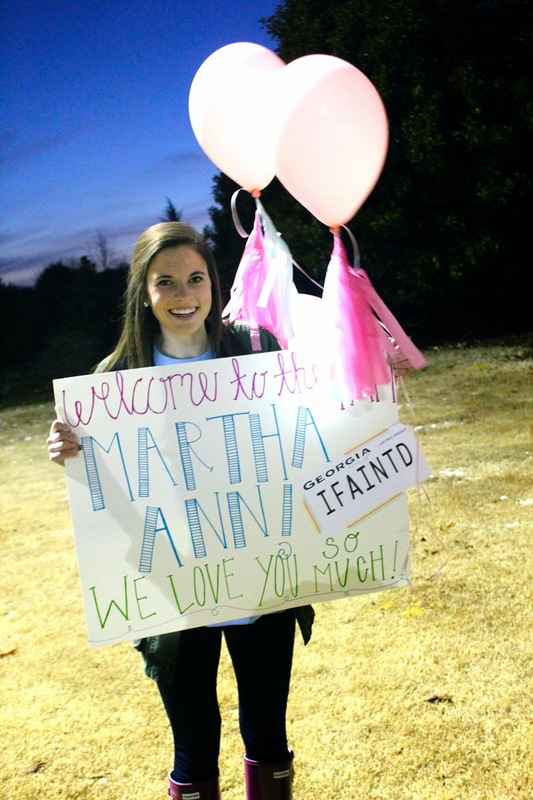 It was such a fun night and week and I am so excited to have Martha Ann as my little! Congratulations! These pictures are all so adorable! Congrats, getting a little is such a great feeling. 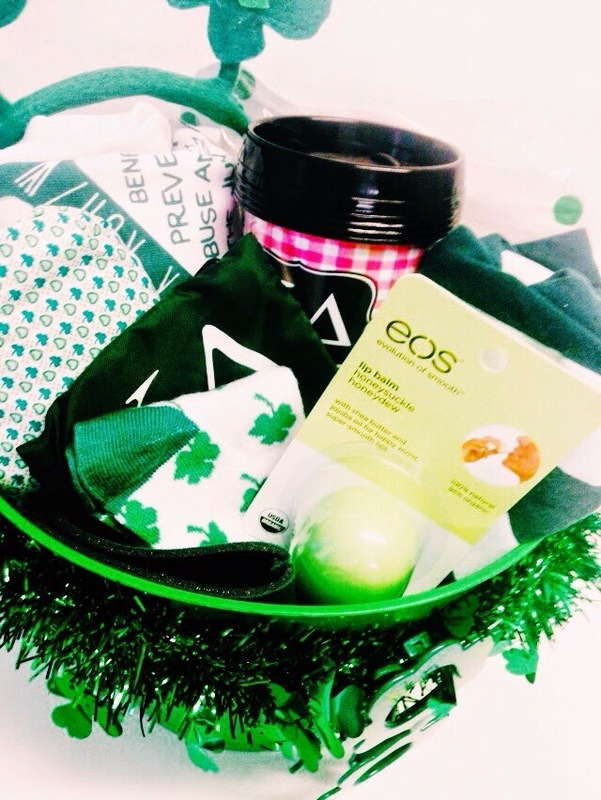 I love the themes of your baskets and how thoughtful you were about your gifts. I got my little as a junior, and she was a sophomore. 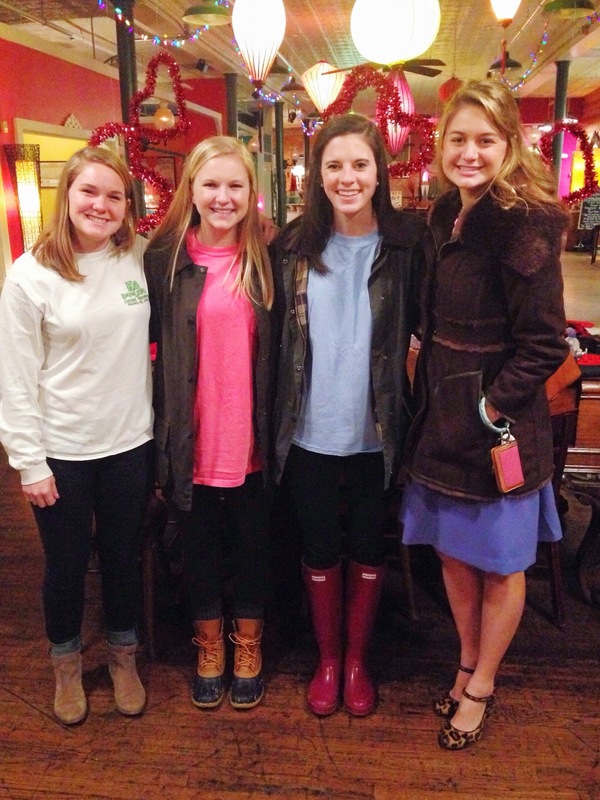 We do reveal a bit differently at Kappa Kappa Gamma at UNC Chapel Hill, as I'm sure you guessed. But still fun! Ahh! I have the best big ever! I love you Dorothy!! So fun! Getting my big was definitely a highlight of my first semester as a Pi Phi at Texas A&M. Love your blog! Aw! This seriously get me so excited for college! I can't wait to have a Big! 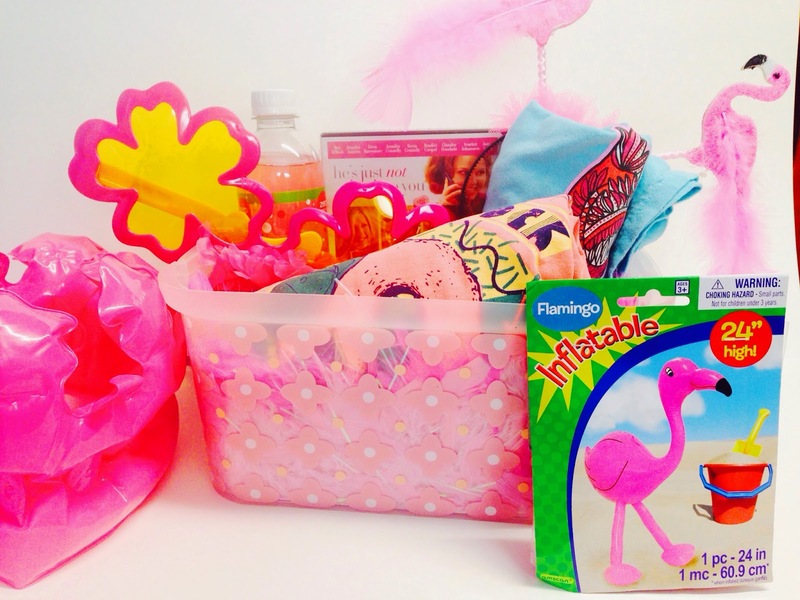 Where did you get your baskets for the gifts? Particularly the turquoise blue basket weave textured one. So much fun to read this post! I got my big this fall :) These gave me such great ideas for next year as I am already beginning to purchase things for my future little! 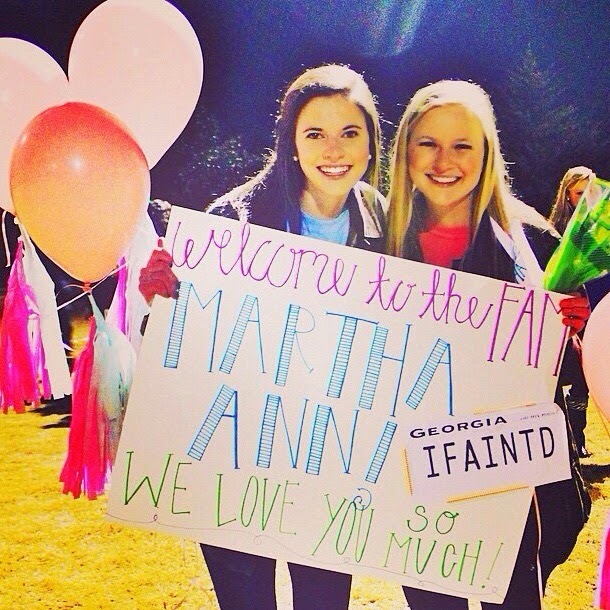 All of your big/little gifts were so thoughtful and precious & your little looks so thrilled to have you as her big!